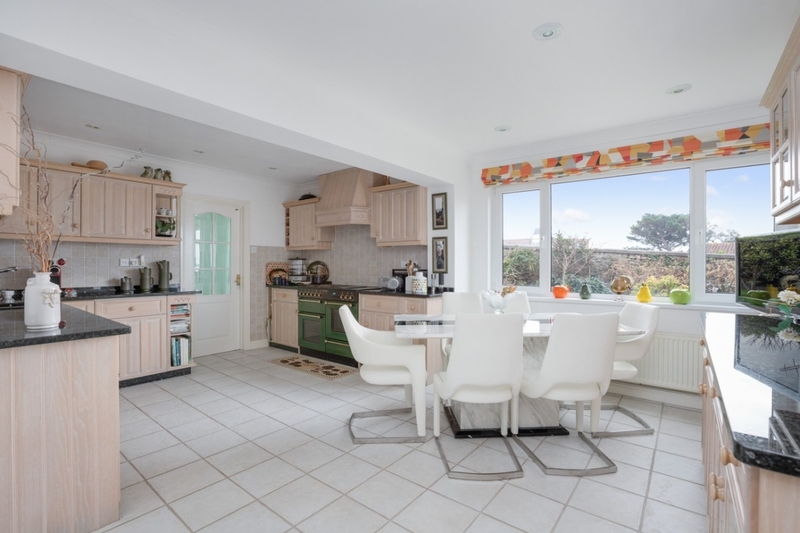 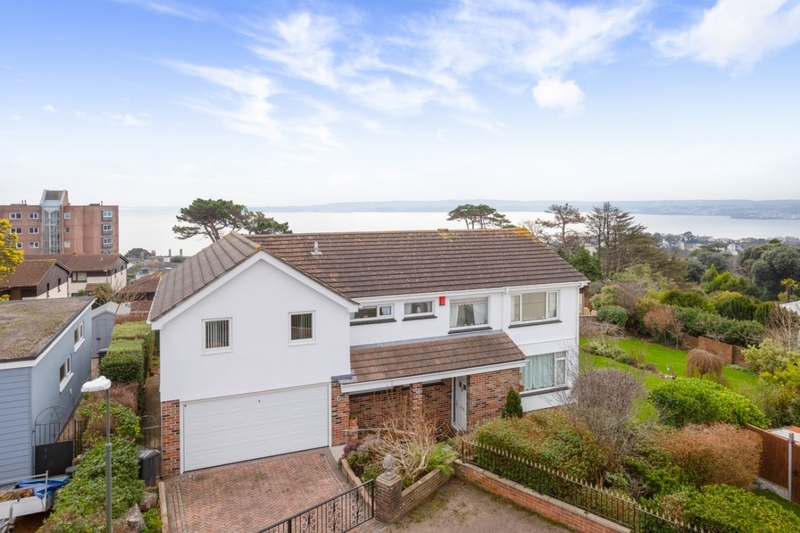 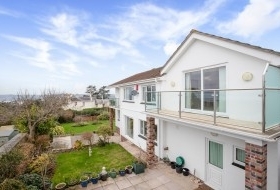 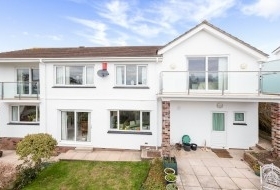 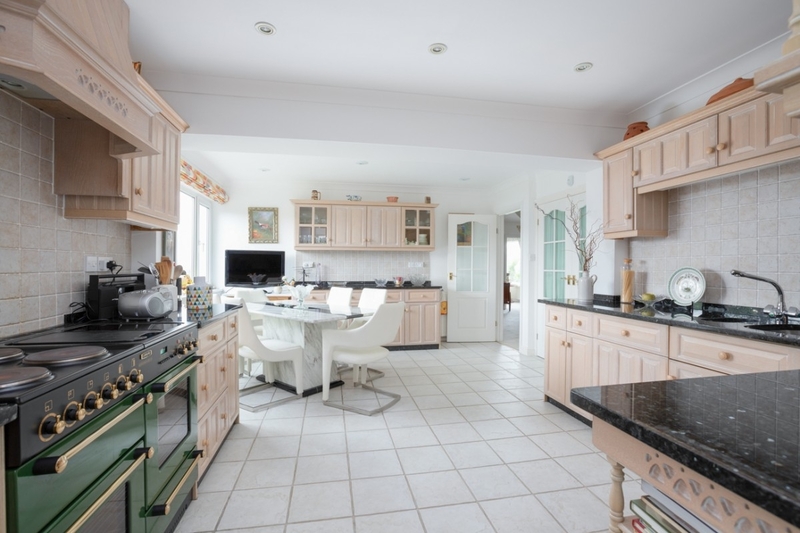 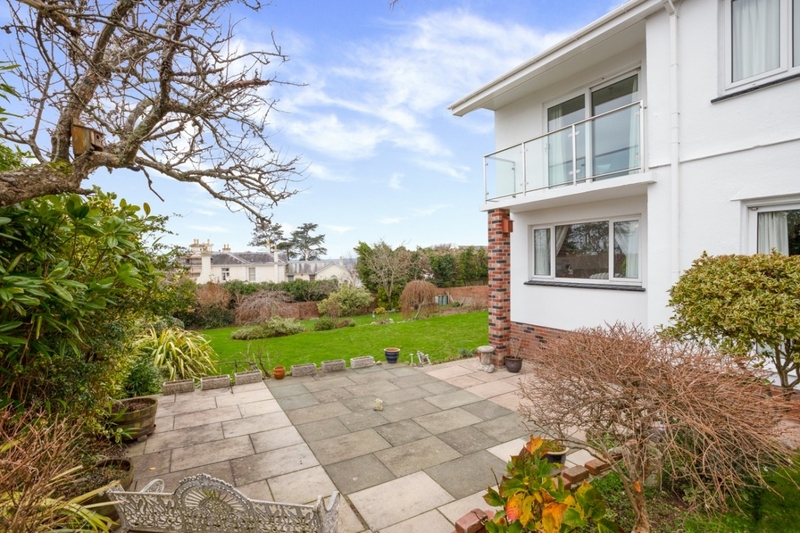 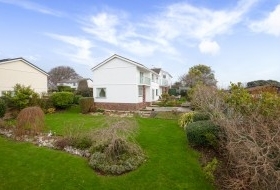 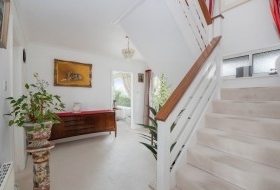 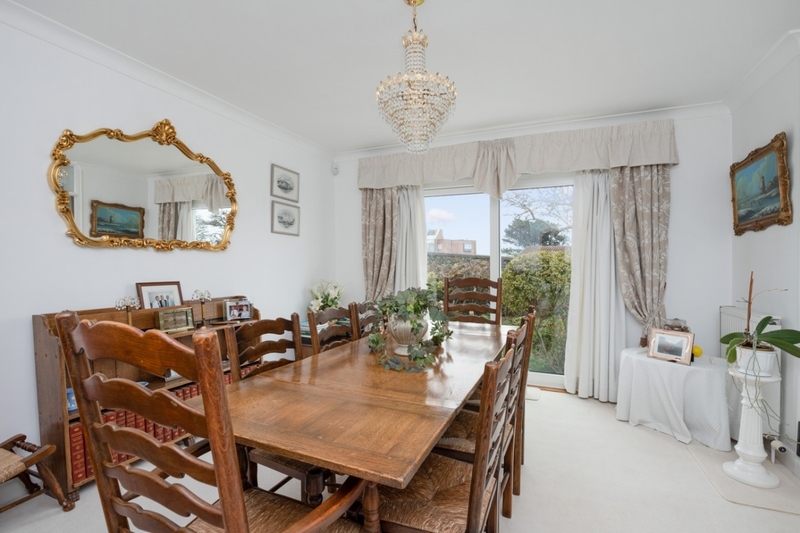 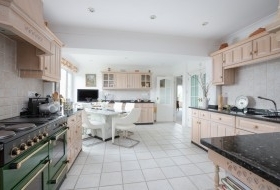 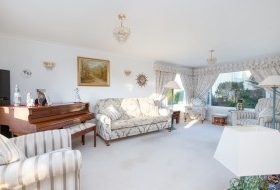 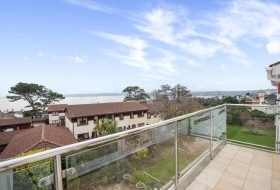 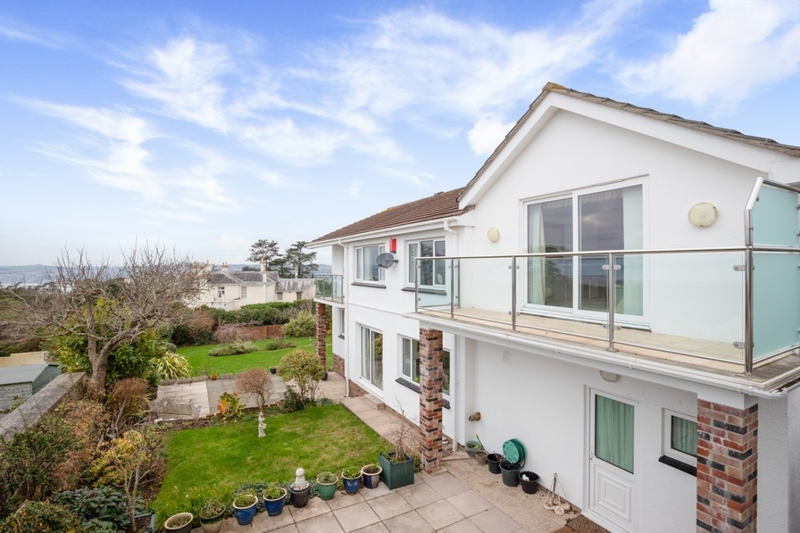 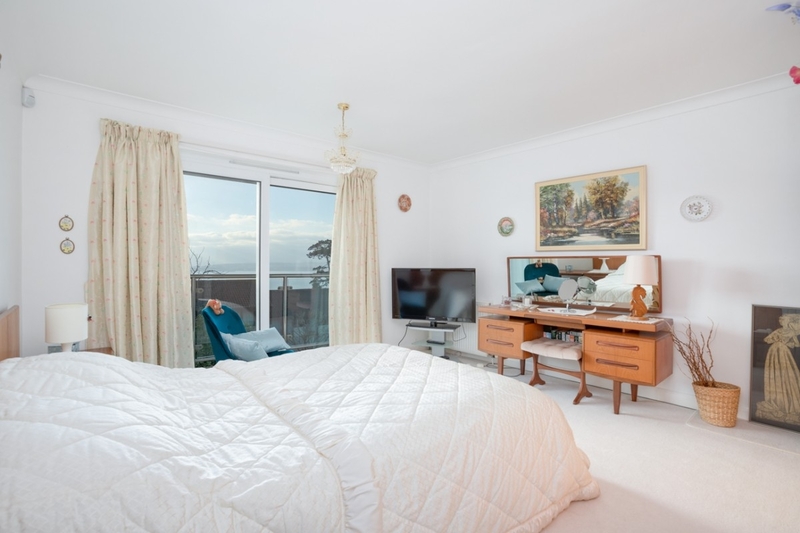 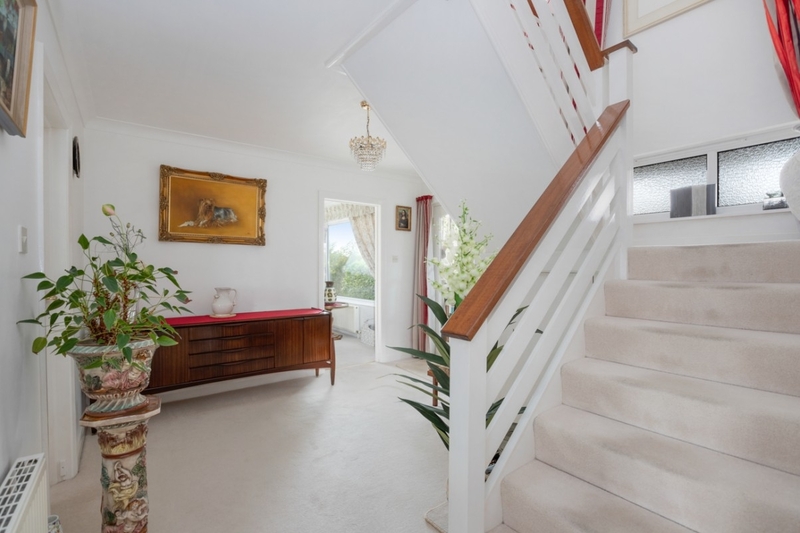 With views of the sea and coastline, the property offers a spacious detached home designed for family living, set in lovely gardens capturing a south/west aspect. 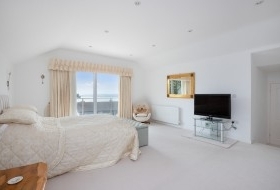 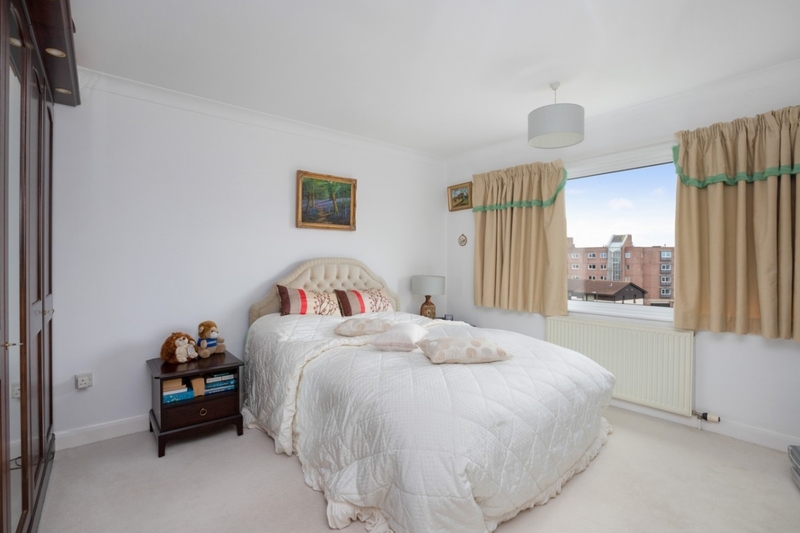 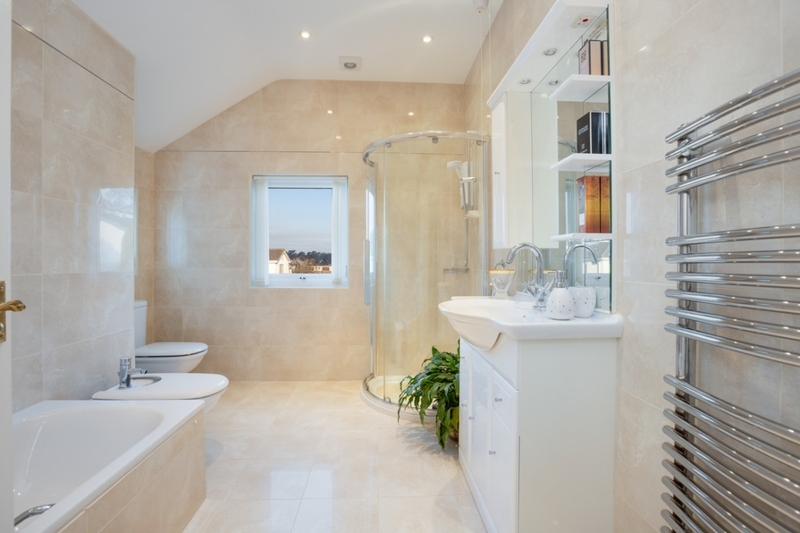 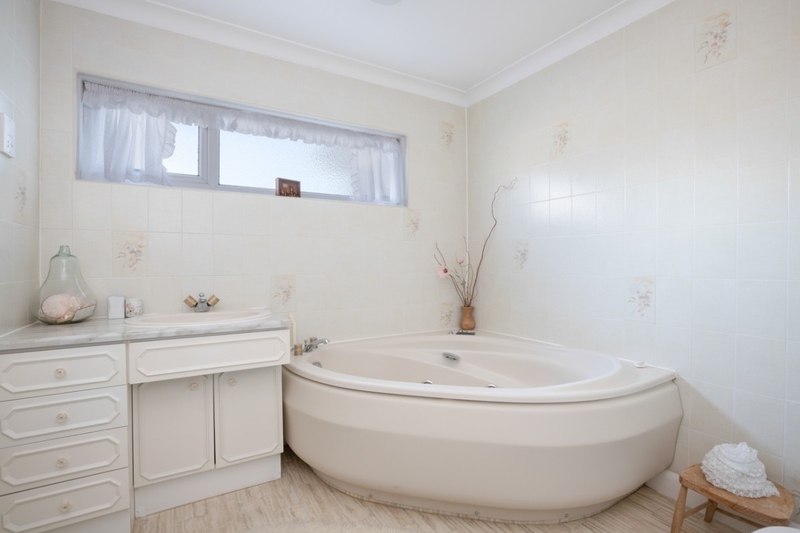 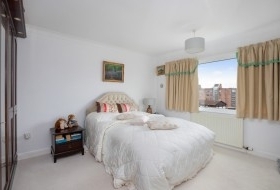 Traditionally arranged over two floors, the accommodation has the benefit of extension to provide an exceptional bedroom suite. 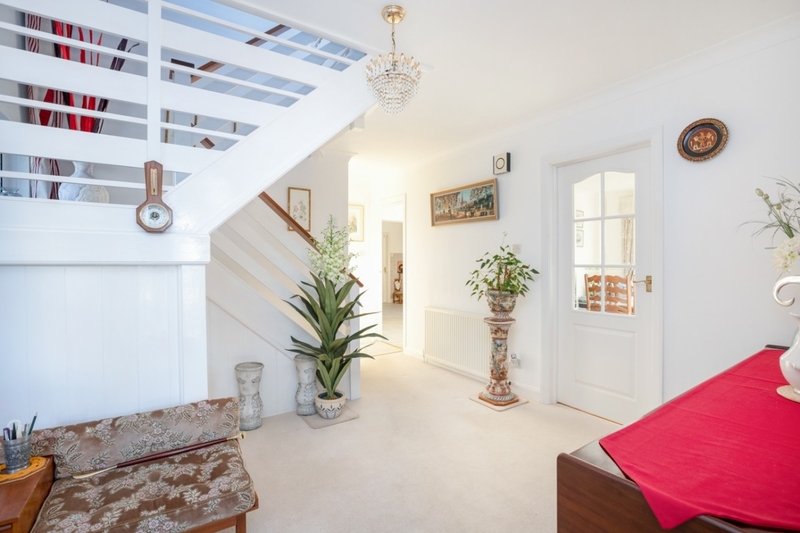 Welcoming entrance hall, sitting room, dining room, kitchen/breakfast room, cloakroom/shower, utility, 5 bedrooms, dressing room, en-suite and separate bathroom. 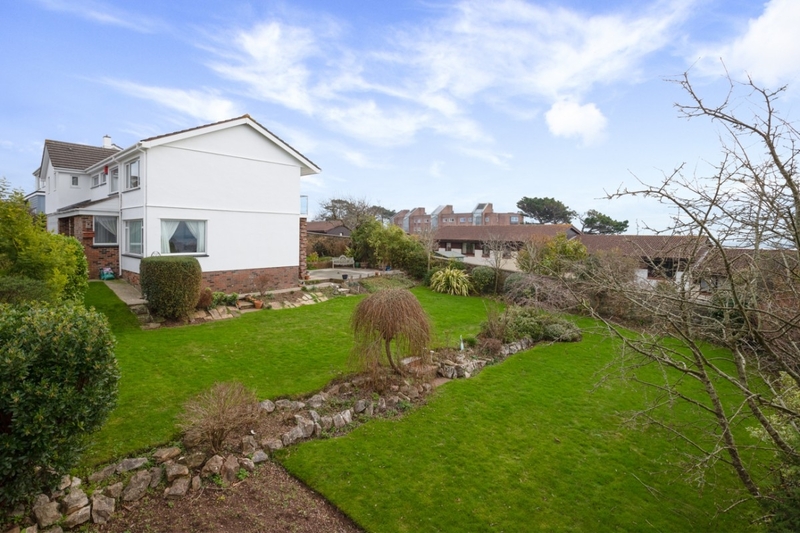 Perfect gardens for outdoor activities, double garage.